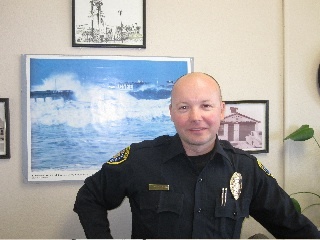 Editor: The following is by Community Relations Police Officer David Surwilo, who probably more than any other single officer, knows Ocean Beach and its residents and merchants. This was written and posted on a social site very recently and echos what he stated during the recent OB Town Council meeting. We are reposting it as a public service. Here is a profile the OB Rag did on Officer Surwilo a few years ago. San Diego is the 8th largest city in America with the 5th largest homeless population, with only 1800 officers on the force and about 800 assigned to patrol duties. The news recently reported that homeless vets have the highest concentration in Southern California. San Diego has a high density resident population, numerous bars, countless clubs and restaurants which allows for the homeless to obtain recyclable, monetary donations, alcohol and food to help support their situation/life style, we also have the most moderate weather conditions anywhere. The police fully understand the homeless issue and it has not been over looked in anyone’s community by us or City Council. Our job is not to focus on the homeless or any single part of our community. Our job is to address criminal behavior. We investigate reported crimes and make arrests when we can throughout the city. Unfortunately we have to sometimes priorities, resulting in us being unable to respond to calls in a timely fashion. If there is a violent assault in one neighborhood the officers will have to respond to that location, before responding to the report of someone drinking in public. The officer’s assigned to communities, usually 2, have to deal with resident victims, homeless, businesses, bars, night clubs incidents, traffic incidents and all trauma hospitals. When we can, we are providing additional officers from our specialized teams directly to communities to address narcotic, criminal, gang and quality of life criminal issues. When appropriate we can called our Vice, Gang, Narcotic Units and Homeless Outreach Team when we encounter individuals who seek assistance or need to be investigated. If you are having issues with illegal dumping of couches and mattresses contact Environmental Services. Tagging or graffiti contact Urban Corps or the city’s graffiti removal team. If you have Code issues then report the situation to the Code Unit. If your yard or alley is dark take the steps to add lights and trim vegetation to aid in having a clear view into hiding or sleeping locations. Remove recyclable from your bins and get your refund. Then use the money to purchase Neighborhood Watch signs or pay for solar lights for yards. Use the city’s public website to locate reporting procedures or phone numbers to start the process to fix street lights, report dispensaries, pot holes or other issues. If you are witnessing crimes then I encourage you to call the police to report what is occurring and we will format the call for service and respond as fast as possible, 619-531-2000 or 911. With those calls for service we are able to track crime trends and response times. If a division has a high volume of calls and a slow response times then more officers can be assigned to the division and community to address the issues. I hope this information sheds light on how we can all work together to start improving the city. I read the article, noticed he never mentioned Ocean Beach one time. Lots of good information on there. I reported a drunk/drugged, I assume young traveller (being nice-you know the type I am referring to) trying to enter my house as I threw a dinner party for my Parents last week. She claimed to need alcohol and thought it was a good idea to get it at my house. My wife told her to leave nicely then I followed it up with some serious rage in my voice. She yelled back and I yelled her away. I have no patience for these people any more after having my yard ransacked by them a while ago the same night they went into my neighbors house and stole his laptop, in addition to his keys as they then took his Jeep. Report everything! Older Article: Midway Community Planning Group Report: Sports Arena Black Angus to be demolished?